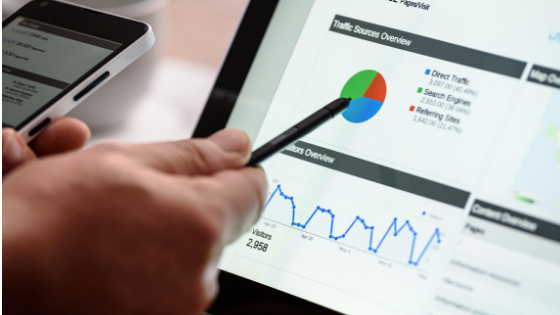 Digital marketing is getting hot and lot of companies are hiking their SEO marketing budget for 2019. As a small business do you think you have a chance to stand against these big brands with millions of marketing budget to spend on SEO Software?. It looks impossible right,but it really isn’t. In this article i provide you 11 best marketing tools which are absolutely free and will help you do SEO for your website on a budget. Most of these SEO software tools are from google and they are fast, free, and easy-to-use. In this article i will explain how you can use these tools to do SEO for yourself . Identifies Target audience and the traffic to your website and provides complete web statistics and search insights. This is the like oxygen for a digital marketer as it captures pretty much every thing that can be imagined on your website and help you understand the search intent of the traffic. This will help you adjust your digital marketing strategy to take full advantage of your top sources of traffic. Google Analytics will do all the work for you once it is installed. It will take some time to collect enough data and then will display the results daily. Apart from tracking pretty much every bit of traffic you could imagine on your website, Analytics also shows many keyword insights as to which terms people use to land on your pages. This data is shown either under Acquisition > Search Console > Queries or Acquisition > Campaigns > Organic Keywords. SEMrush is an SEO tool that does your keyword research, tracks the keyword strategy used by your competition, runs an SEO audit of your blog, looksfor backlinking opportunities and lots more. SEMrush is trusted by internet marketers all over the world. It is also used by a number of businesses, big and small. Next articleDIY : Goth Babe is more than a music project, is a lifestyle.